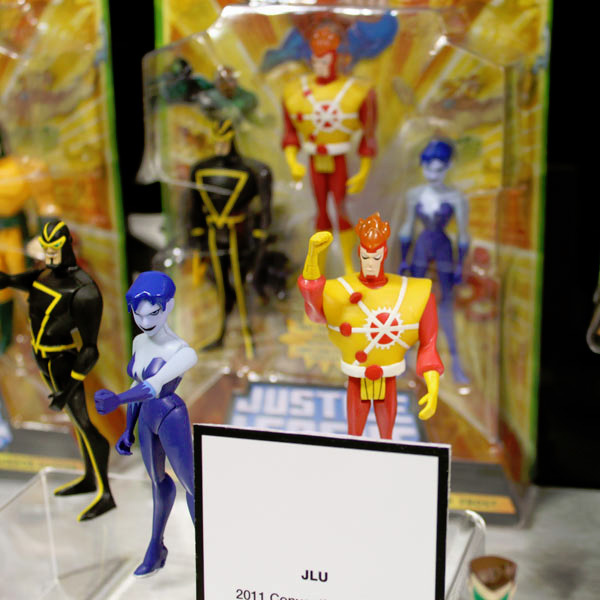 Toy Fair 2011 is going on right now in New York City. Comic Book Resources has posted several pictures from the event, some of which include Firestorm! While it’s wonderful to see these pics, we’re not seeing anything new in regard to Firestorm. All of the items pictured below had been previously announced. Still… the figures do look great! First up is Mattel’s Justice League Unlimited action figure three-pack of Firestorm, Killer Frost, and Angle Man! Yup, that’s right! Angle Man! Hooray for Angle Man! … oh wait a minute … Angle Man? Seriously? With Firestorm and Killer Frost? WTF? According to Inside Pulse, this three-pack will be a convention exclusive only available at C2E2, Wonder Con, Dragon Con, & NY Comic Con (not SDCC). Better watch closely for this one folks! 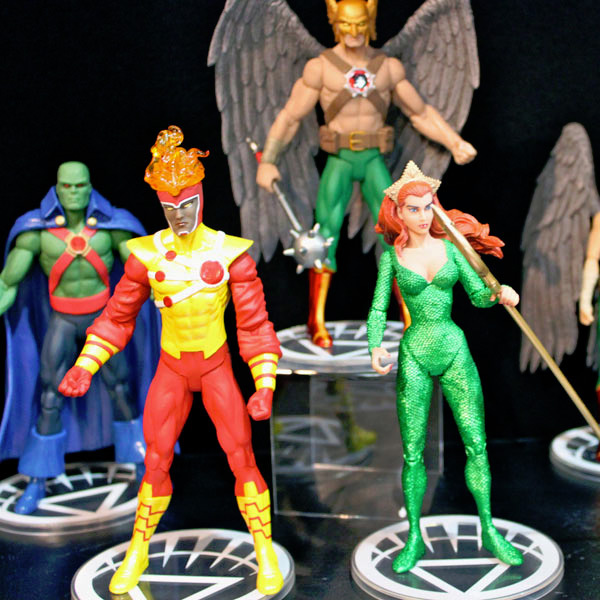 Next up is the DC Direct’s Brightest Day Firestorm action figure! Looks great! Notice the skin tone. Seems to be an amalgam of white and black skin tone to represent both Ronnie and Jason. I like it! Watch for this in stores April 6, 2011! 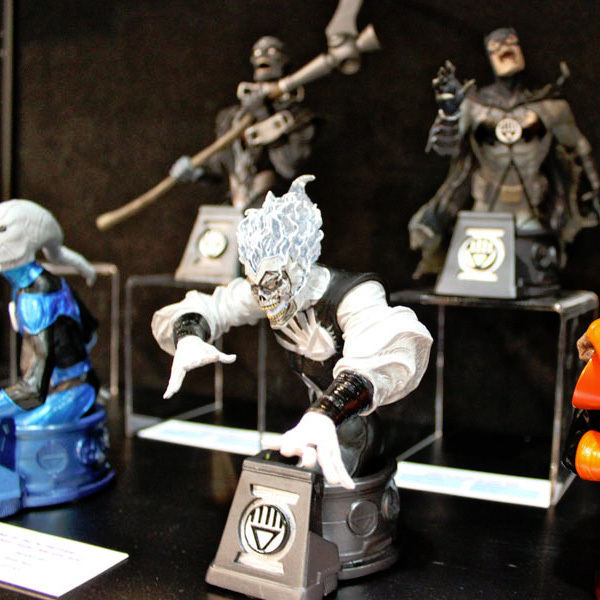 Finally, DC Direct’s Blackest Night Black Lantern Firestorm bust. Watch for this in stores July 13, 2011 at the suggested retail price of $70. While I think this item is beautiful, it’s too expensive for my blood. My thanks to Brandon Leonard and Keith Baker for the heads-up on these photos. Thanks guys! Posted in: Blackest Night, Brightest Day, Deathstorm/Black Lantern Firestorm, Firestorm #01: Original (Ronnie/Martin), Firestorm #08: Brightest Day (Ronnie/Jason), Killer Frost, Toys. Eh. That three-pack is okay, but it looks like Firestorm’s wearing a shirt that’s a few sizes too large for him. Either that, or Ronnie needs to lay off the beer and pretzels for a while.